Adgaon is situated on Shegoan- Akot road (Via- Telhara and hiwarkhed) which is 75 Km away from Shegaon and it is blessed by nature. As chapter No.11 of Shri Gajanan Vijay Granth, Adgaon is the holy place where Shree had blessed his favorite faithful devotee 'Shri Bhaskar Patil'. On the left side of highway, toward Adgaon- Shri Bhaskar Patil Samadhi Mandir is located which is included and merged into Shri Gajanan Maharaj Sansthan, Shegaon. The beautiful premises of Dwarkeshwar referred in chapter-11 by Sant Kavi Shri Das Ganu Maharaj is adjacent to the holy place of Samadhi of Shri Bhaskar Maharaj. Here the huge trees have added to the beauty of this place. This is the same place where Shree had instructed the crows not to destrub the people taking food and later the crows never distributed the people. •	Temples of Parvati Mata, sati and siddheshwar. 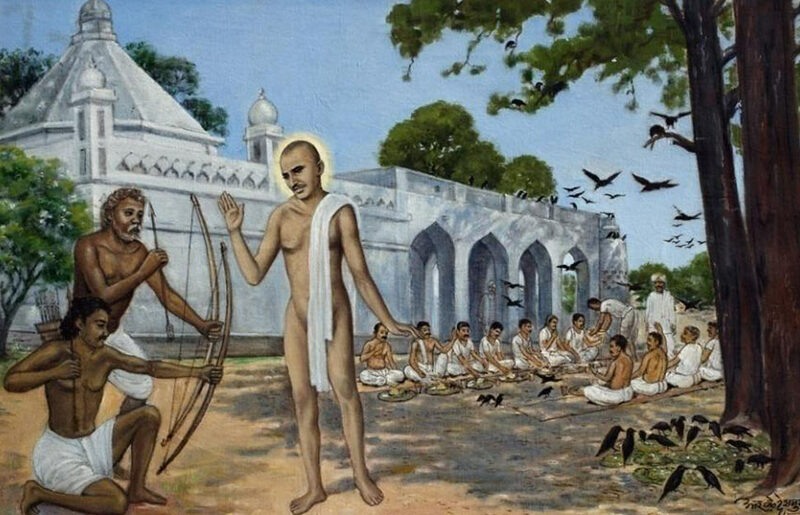 Mahayadnya, Kirtan, Pravachan, Bhajan, and Parayan.